The Only Family Resort on Lake Charlevoix! Enjoy a lake view from every cottage or cabin. Rustic, housekeeping lake cottages or log cabins available. Rest and relax or a water enthusiast's dream. Boating, fishing, hiking, sandy beach, plus more. Minutes away from fishing, golfing, shopping, canoeing and Charlevoix, East Jordan, Traverse City, Boyne Mountain, and Mackinaw City. Located on one of the most picturesque shorelines in Northern Michigan. Welcome to Cedar Rest Resort offering families a peaceful and secluded Northern Michigan getaway situated on Lake Charlevoix. Located on one of the most picturesque shorelines in Northern Michigan, Cedar Rest sits on Lake Charlevoix’s South Arm offering breathtaking sunsets, steady cool breezes and no mosquitoes. The resort sits on 53 private acres, which includes 13 wooded acres, 1,400 feet of Lake Charlevoix footage and a sandy beach. As the only family resort on Lake Charlevoix, Cedar Rest Resort has the perfect up north setting for summer family vacations, large or small family reunions, or any family celebration or special milestone. Stay in one of our 12 rustic, 2 and 3 bedroom lake cottages or log cabins, sleeping five to eight people comfortably. Each cottage lies within a stone’s throw from Lake Charlevoix’s shore surrounded by trees for added privacy. All cottages include running water, heaters and fireplaces and are equipped with a refrigerator, gas stove, dishes, cooking utensils, blankets and pillows. 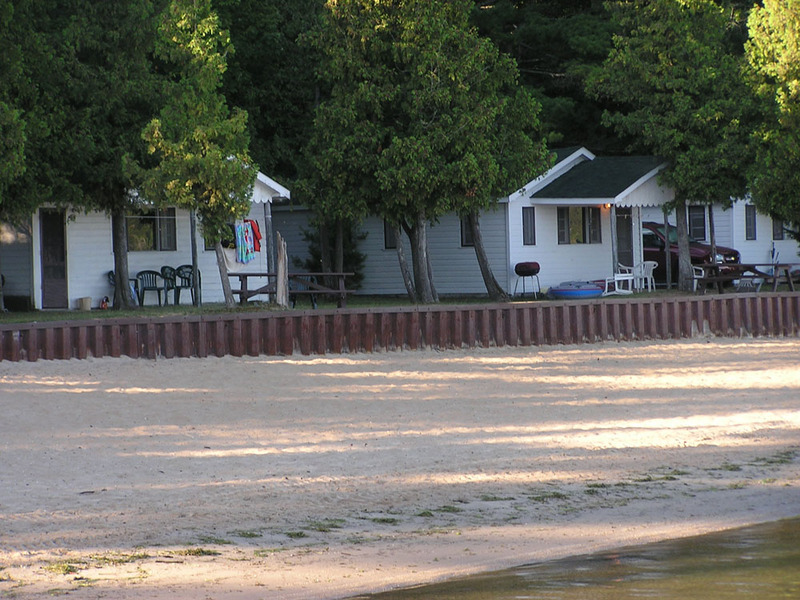 Families love the kid-friendly, secluded atmosphere at Cedar Rest Resort. For those looking to relax and unwind, enjoy a quiet hike in the woods, lounge by the lake, or just watch the sunset. For active family members, spend the day swimming in the lake, playing on the sandy beach, or fishing for walleye or lake trout. 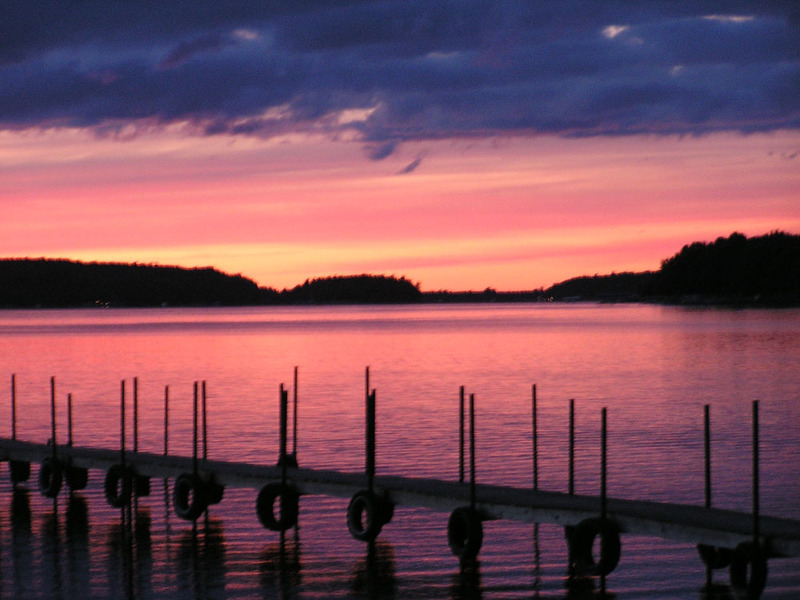 Boat enthusiasts can dock their boat on Lake Charlevoix and enjoy waterskiing, tubing or a sunset cruise. Pontoon boat rental is also available onsite as well as the local marina just minutes away. This area is a true fisherman’s delight. Lake Charlevoix has excellent pan, walleye and lake trout fishing, and Lake Michigan is easily accessible by boat for even more great fishing. The famous Jordan River is only minutes away and is known for its brown and brook trout, fishing by flat boat, canoeing or wading. Golfers will be delighted to find that there are (2) 9-hole golf courses and (2) 18-hole golf courses within 10 miles and 18 golf courses, some world-class, all within one hour drive. Come experience what generation of families have discovered for over 50 years… a piece of paradise on the shores of Lake Charlevoix. Copyright © Cedar Rest Resort. All Rights Reserved. Powered by Sygnifi Networks.